Nintendo hosted their final Smash Brothers Direct last night, with the key focus being on the last 3 DLC characters who will be joining the roster. Previously announced Cloud from Final Fantasy VII took centre stage, even though he'd already previously been announced. What was a surprise however, was that he would be available along with the Midgar stage to download within hours of the Direct finishing. That time has now passed and he is on the eshop ready to purchase! The Chocbo hat and Geno Mii Fighter items are also now available. 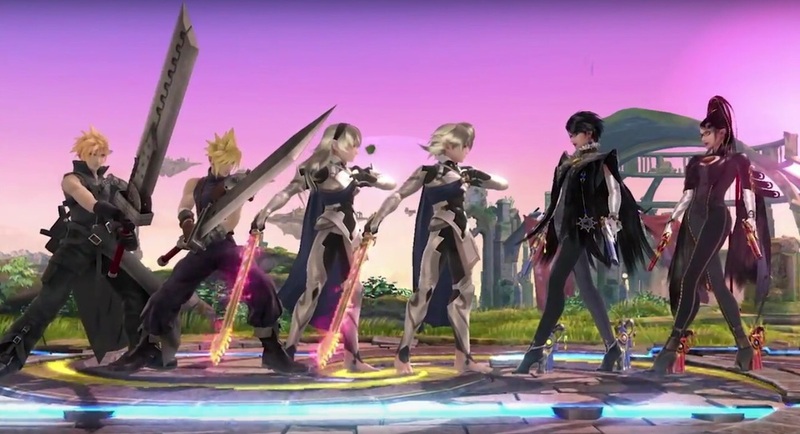 The other brand new fighters who were announced, Corrin (Fire Emblem) and Bayonetta, are set for a Febuary release along side other Mii Fighter outfits including Knuckles and Tails from the Sonic series. Finally, Nintendo confirmed that Amiibos for all 3 new DLC characters were being designed. If you missed the Direct, the whole thing is embedded below. Enjoy!